Every farm poses different challenges - depending on your soil type, crop varieties, nutrient demands, size of operation, and countless other factors. 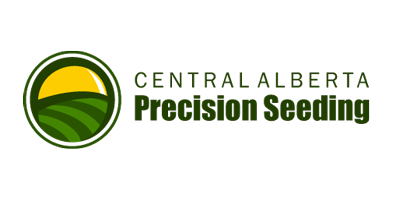 That's why Central Alberta Precision Seeding offers such a wide range of complete and partial seeding systems to complement the equipment you already have. No matter what your seeding requirements are, we have the right solution to match your needs. Choose from a variety of on-board or tow-behind tank systems, drill widths, and row spacing option. Our on-board SeedMaster seed tanks feature Individual Row Metering for unbeatable accuracy, gentle seed handling, exceptional emergence and lower seeding rates. Individual Row Metering complements the precision of SeedMaster's terrain-following openers and maximizes yields - whether you're planting oilseeds, cereals, pulses, or corn. Central Alberta Precision Seeding is made up of three brothers, Dirk, Mark, and Garry. All three of us were raised on a dairy farm and as a result Dirk, a welder, became involved in dairy farming. Mark is a heavy-duty agriculture mechanic and has 10 years of experience. Garry, worked for a 5,000-acre farm and combined from Texas to Saskatchewan. In 2006, our dad sold the cows and the dairy farm closed down. This event started us out grain farming. Several adjustments were made to accommodate the switch. We had no aeration in our bins to protect our grain from spoiling, so we tested out GrainAir Tubes and were very pleased with the outcome. In our trial and error with several seeders, we tried a SeedMaster system and found that it had the most unbeatable precision and the best rugged reliability. We had very positive results. Currently, we farm approximately 2000 acres. Our crops include canola, wheat, barley, oats, and peas. We do some custom farming as well. And after realizing that there were no GrainAir Tubes or SeedMaster dealers in our area, we decided that being dealers would be a good fit for our family farm and since expanded into other lines to complement our seeding equipment. We are committed to servicing your needs and we stock the parts you need to get the job done. After all, we are farmers too.